Stapleton homes for sale usually aren’t available for long. Throughout most of the year, it’s common for homes to go into contract within the first or second weekend they are on the market. 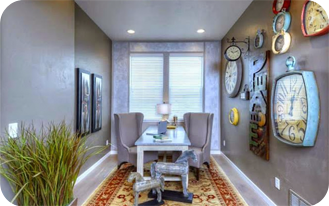 Whether they just can’t act fast enough to get in on the Stapleton real estate they’re interested in, or they just don’t see the features they’re looking for in any existing properties, many people are turning to new home builders to meet their needs. The Neir Team already has an extensive list of the builders operating in the Stapleton neighborhood of Denver, but with some big developments underway in Buff Lake and Beeler Park a new builder has been added to the list: CreekStone Homes. Now we have a new name to add to the list -- CreekStone Homes. They are the 10th builder to be welcomed to the Stapleton neighborhood as a whole, and one of five already contracting lots in Bluff Lake and Beeler Park. More builders will be diving into the two new developments soon; The Neir Team will be here to keep you updated when they do. Substance and style: They don’t want to create pretty facades that have no interior substance. CreekStone Homes are all about the art of mixing substance with style. Smart: Brilliant designs, intelligent layouts, high energy efficiency appliances and features all add up to a smart approach to homebuilding. The feeling of more: CreekStone Homes wants each home to feel like it has more space than the actual measurements suggest. Are you interested in new home construction in Stapleton? Talk to the Neir Team about the Bluff Lake and Beeler Park developments and which builders will best suit your needs. The newest Stapleton real estate is going fast, so contact us today!